In 1997, Peter Bragdon won a three-year Milford School Board seat by 27 votes over Jack Danhof, and the election was settled in a recount. 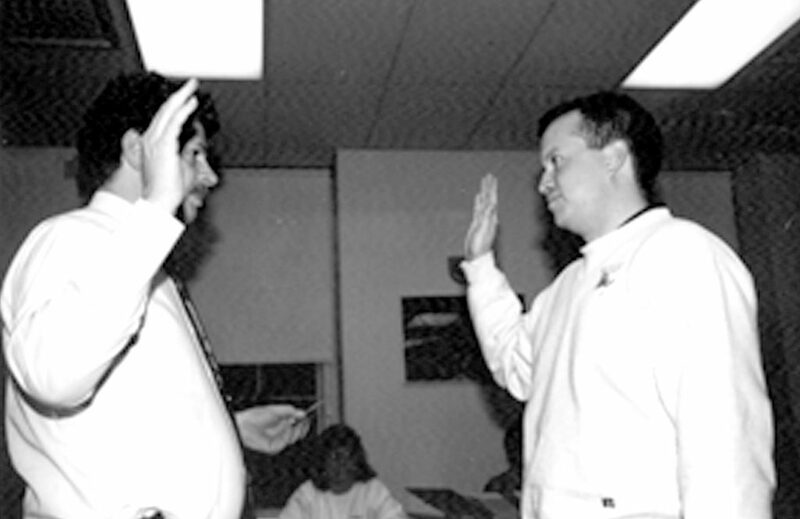 In the photo, above, Bragdon is sworn in by then-school district moderator Gary Daniels, left. Bragdon picked up five more votes and Danhof one more vote in the recount. Twenty-two years later, Bragdon was at the March 21 school board recount as an observer. The new count saw Holleigh Tlapa maintain her lead over school board veterans Bob Willette and Len Mannino.